enviroBYTES: Mine Rehab $1000 Poster Comp and Speaker Abstracts close soon, Applications open for Kenya Field Trip, Are you up for the #TrashTag Challenge? Mine Rehab $1000 Poster Comp and Speaker Abstracts close soon, Applications open for student field trip to Kenya, 'Green' footpath trial 1st for Hunter, Speers Point to Glendale Cycleway underway, and Are you up for the #TrashTag Challenge? 13 - HEDG National Science Week - Destination Moon: more missions, more science. 15 - HEDG Earth Science Week - Geoscience is for everyone. 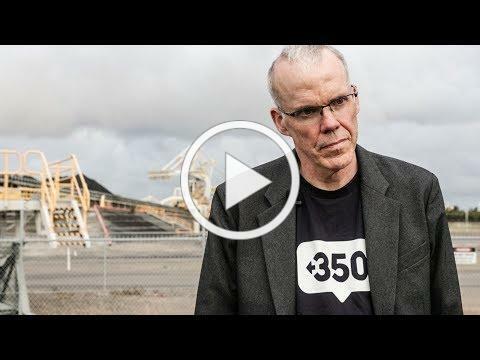 Accelerate follows Bill McKibben, the founder of 350.org, during his 2018 tour in Australia as he demands that we accelerate climate action by our government, businesses and communities. and make sure not a dollar more goes to dirty energy. Bill is considered as one of the most acclaimed environmental activists in the US. During his time in Australia, he visited five states in just eight days, saw the devastation caused by ocean warming on our Great Barrier Reef, visited Newcastle to meet with union and government officials in the heart of the world’s biggest coal export port, and saw some of the low carbon solution projects underway in Adelaide. Meet at the bottom of Bar Beach car park at 4 pm, from which we will depart for a lovely beach stroll featuring some nasty debris. Afterwards we will bask in good karma whilst we feast on some hot chippies and have a good chinwag. NUSEC is the Newcastle University Student Environment Club. NUSEC is a group for those passionate about the environment and looking to get involved with clean ups, campaigning and conservation projects. We help out local organisations cleaning up our rivers and beaches, assist the National Parks and Wildlife Service with bush regeneration in some of the state's most beautiful nature reserves, and join in on important environmental campaigns to help spread the word about sustainability. Peach Tree Park foray in the Upper Allyn Valley will be building on the well attended survey conducted there last year. We're looking forward to some more exciting finds after recent good rains. The walk through the magnificent rainforest there with the stunning river busily swirling and cascading around beautiful river rock and then silently slipping into the secret depths of the crisp coolness of enticing pools is worth attending for if nothing else. Contact Martin Fallding 6571 1208. Confronting photos of thousands of dead fish in the Darling River have raised our awareness of the need for healthy rivers and a sustainable water management policy framework.What is happening? Why? What should we be doing? Lin Crase, Professor of Economics at the University of South Australia will speak with us about the history, economics and politics of water, especially in the Murray Darling Basin. Lin is considered one of the world experts on water and has worked on projects in SE Asia, Japan and Europe as well as here in Australia. 2018 1st prize winner Indishe Senanayake receiving his prize. This year marks the return of the Student Poster Prize. $1000 of prize money will be awarded to the top posters presented by students at the conference. ​A record number of abstract submissions were received for the Mine Rehab conference last year, with 27 posters on display at the 2018 conference. Submit your abstract by 11 April 2019 to be eligible for entry into the competition. Lynda's studies at the University of Newcastle led to an honours degree in Natural History Illustration, including research and artwork on the Native Terrestrial Orchids of the Hunter Region Botanic Gardens. Lynda's book is designed to highlight the beauty of the orchids, as well as raise awareness of their existence and importance. The outer tracks of the Botanic Gardens consist of very sandy soil and this is the perfect environment for native terrestrial orchids. Native orchids are a very strong indicator of the ecological health of an environment and, as such, stand alone as a very valuable commodity in any ecosystem. Native orchids all over the world are becoming rare and endangered and in many cases are already extinct." Lynda's book is available for purchase at the Hunter Region Botanic Gardens Giftshop at Heatherbrae. Since 2002 the Hunter Research Foundation (HRF) Centre has run a dedicated research program in the Upper Hunter. Our insights are shared twice a year at our economic breakfasts. Keynote speaker Tony Wood, Energy Program Director at the Grattan Institute, will consider Energy for Japan, China, Korea: Future coal exports from the Hunter. Is demand for Hunter Valley coal likely to go up, down, or sideways? Over what time frame – 10 years, 20 years, 50 years – might significant changes occur? The Hunter would benefit from greater certainty. What level of certainty is possible? HRF Centre's Lead Economist, Dr Anthea Bill, will help set your business compass for the year ahead with her unique insights on the Upper Hunter economy including business and consumer expectations. This will include the results of our Pulse Survey of local conditions presented in our latest Upper Hunter Region Economic Indicators. Join 170+ other guests at this long-running series on 10 April. Be informed, challenged, inspired and 'connected'. Join us for a tour of Hunter Wetlands Centre to learn about the history of the centre and the site’s transformation from a dump into an internationally significant wetland. Also learn about the Australian Native Plants Society and our local native plants. Please bring your own water bottle, wear closed in shoes and sun protective clothing. Event supported by Hunter Local Land Services and Hunter Region Landcare Network . Numbers are strictly limited. RSVP by Wednesday 10 April to the Landcare Resource Centre on 4921-0392. You don't need superpowers to make a difference. Join elasmo and earth guardians newcastle on Sunday 21st of April to clean up the beautiful Bar beach. Together we are helping reduce marine pollution by removing litter from the coastline before it has a chance to reach the ocean! It's a great opportunity to do something amazing for the planet and meet other likeminded earth and ocean warriors! 💙🌏🐋. After the clean up we will run a short information session on plastic pollution. Join us for the third community meeting to take productive action & address the millions of tonnes of coal-ash waste polluting Lake Macquarie, to see the impacts of coal-fired power stations mitigated & to preserve our environmental heritage. - Mission statement: Who are we? what are we called? What are our key aims? Last year we attempted to clean up our local mangroves that were in a disastrous state filled with dumped rubbish. On world Oceans Day we pulled out 2.9 Tonnes of in 5 hours and only got 1km completed out of the three we shut down. We barely scraped the surface and hoped to do the next on this time. This battle against plastic ruining our local habitat and especially such important mangrove habitat is not over- not if we can help it! We cycle on the first Friday of every month. We meet at 4:50pm at Bike Hub East Workshop. Bring some snacks and some bike jokes if you have some or just your bike, we don't care just come and cycle with us. NUBUG we are just a casual group of radical cyclists practicing down to earth skill sharing of knowledge, DIY road skills all for cyclists beginner or advanced from Bike Hub East workshop. We are meeting up with the Critical Mass bike ride (separate from NUBUG) that starts at 6pm from Civic Park. Check out our Facebook Group for details, and for other rides. Soon you'll be able to walk, run or ride from Speers Point to Glendale with the final stages of Lake Mac's latest shared pathway now under way. The path will run from Lake Road, Argenton along the former tram corridor to Frederick Street, Glendale, linking with existing pathways to provide a safe off-road option for pedestrians and cyclists. When complete, the shared pathway will link to the Glendale to Wallsend rail trail, which in turn connects to a network of bike routes in Newcastle, as well as community facilities such as the University of Newcastle. Lake Mac Council's Hunter-first footpath construction project is turning your recycled bottles, jars and glass items into new footpaths for the community. Crushed glass sand and recycled plastic strips have been used in a Hunter-first footpath construction project trialing environmentally sustainable materials. Lake Macquarie City Council crews poured the “greencrete” yesterday along a 30m stretch of footpath on Steel Street in Redhead, with plans to monitor its performance and condition in months to come. Manager Asset Management Helen Plummer said 50 per cent of the fine aggregate used in greencrete was crushed glass sand, rather than natural sand. The mix also contained thin polypropylene strips made from 100 per cent recycled plastic, which help reinforce the concrete and replace steel mesh traditionally used in concrete. “These Australian-made materials close the loop on recycling, providing a practical end use for glass and plastic collected from kerbside recycling bins,” Ms Plummer said. EarthFest is an initiative of Sustainable Education and the local region of the Upper Hunter. Partnering with Upper Hunter Shire Council and the Segenhoe Inn to produce an event that not only showcases the local area, but raises awareness and much needed funds to help families in these catastrophic drought conditions the region is facing. The event will be hosted at the historical Segenhoe Inn, in Aberdeen and you can expect to enjoy a family friendly festival, showcasing local artisans, great food, live entertainment, and workshops. Costa Georgiadis and dirtgirlworld will be there on the day, supporting the event for the locals and surrounding areas. Meet n Greets, plus facilitating one of their awesome talks are scheduled for the day. We are super excited and really so very grateful for their support for this special event. Not to mention it is National Tree Day, from the 26th July to 28th, so come along and plant a tree. Putting an environmental spin on viral social media trends, the #Trashtag challenge invites people to post before and after pictures of areas cleared from waste. Facebook user Byron Román posted a before and after picture of an area he cleared, inviting “bored teens” to “take a photo of an area that needs some cleaning or maintenance, then take a photo after you have done something about it, and post it”. The #Trashtag challenge has now spread wide and far, with people from all over the world taking up the challenge to clean local parks, rivers, roadsides and more.. Many thanks to Lifegate for the info!